City Connects coordinators encourage students to get involved in their communities because this expands students’ world view, helps them develop empathy and leadership skills, and shows them how their actions can have a positive impact. 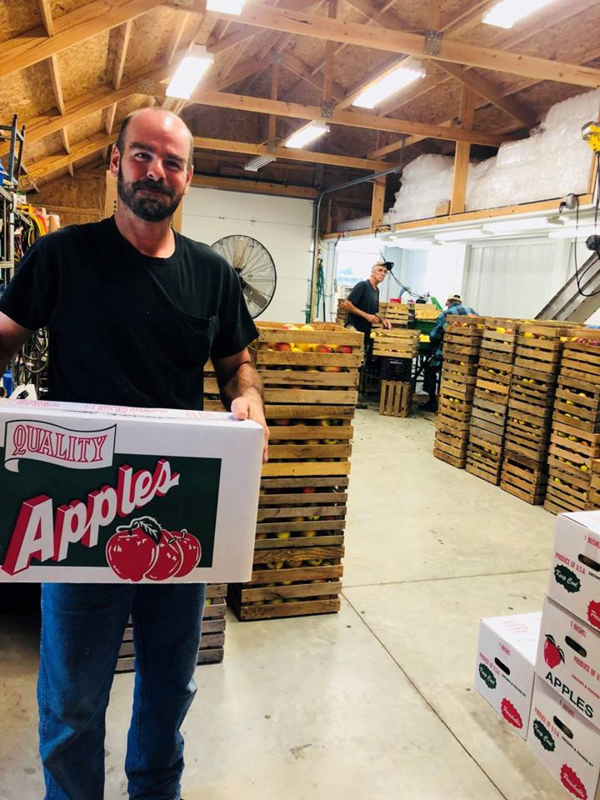 Last month, the winner for loudest community activity was the 2018 Great Lakes Great Apple Crunch. Across the Midwest, at predetermined times, students gathered together and bit into apples to make a synchronous and satisfying crunch. The goal? Educate and encourage the use of healthy, locally-grown foods, support local farmers, grow healthy eaters, and build strong communities across the region. The event is part of National Farm to School month, an effort to forge stronger connections between farms and schools. While City Connects coordinators often help students with tougher problems, there’s an emphasis on connecting students to engaging activities that help them learn while having fun. 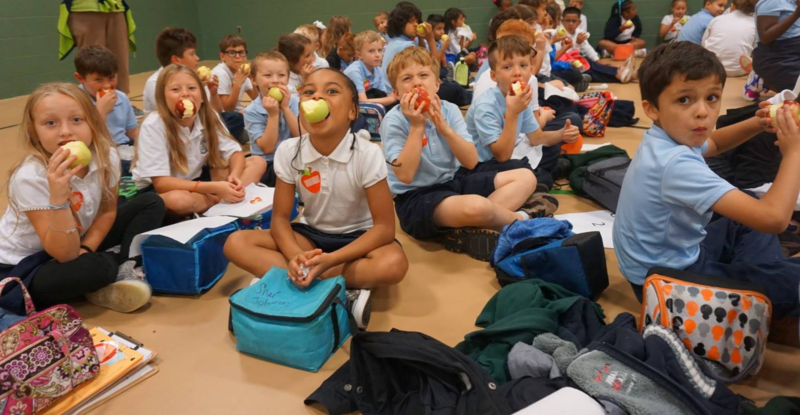 Meanwhile in Springfield Ohio, Catholic Central Elementary School celebrated the day with apples from the Steven Bakery and Orchard, according to the school’s coordinator, Josh Richardt. Some 350 K-8 students participated along with 20 staff members. The school also worked with the Ohio State Extensions Office, which organized healthy eating education programs for students. “Overall it was a really positive event! It was neat thinking that we were doing this at the same time as one million-plus others,” Richardt says. 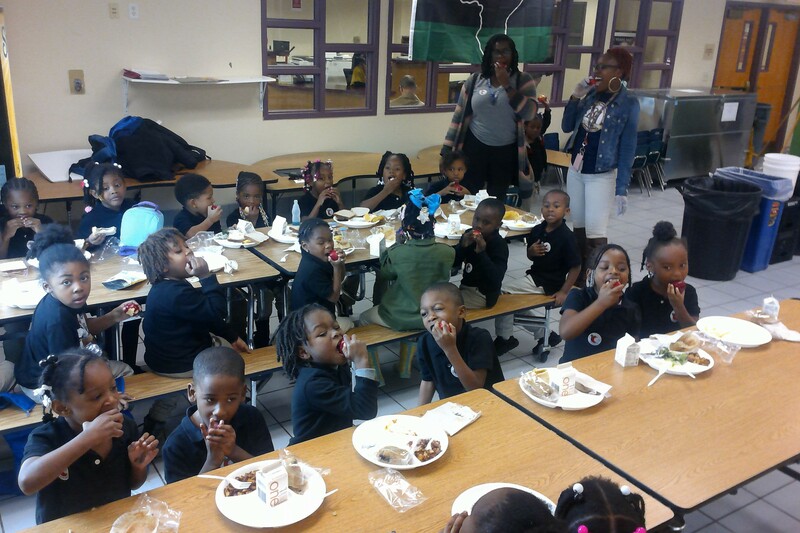 An event like the Great Apple Crunch can help students take more pride in themselves and in their communities, educate them about nutrition and healthy food, all of that while having fun.